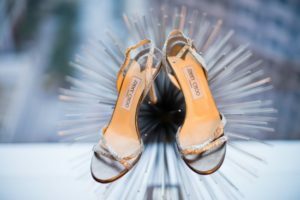 In today’s article we take a look at rehearsal dinner etiquette, and we’re throwing in some super hot fashion picks too! Our goal is to help ease some of the innumerable stresses you’re undoubtedly feeling, so that you can focus on enjoying your big day. The rehearsal dinner may seem like an uber-formal occasion where everyone dresses up prim and proper and has to remember which fork is the for the salad or which is the dinner fork. In actuality, it is simply a get-together of the soon-to-be bride and groom’s friends and family to celebrate before the grand celebration, so to speak. The rehearsal dinner gives those nearest and dearest to the bride and groom a chance to get to know each other, in case they haven’t already met. And if they have already met, then the rehearsal dinner gives everyone a chance to dine with the newlyweds-to-be as one big family before they take the plunge and make that extended family official. Of course, the rehearsal dinner comes with its own stresses, which is why it can’t hurt to have a rough idea of what to expect. If you are following a more traditional etiquette guide for your wedding planning process, then you’ve likely read that the groom’s parents typically plan and pay for the rehearsal dinner. That’s right – you don’t need to worry about paying or doing any of the work, your man’s parents are on the hook for it all! Okay, maybe that was a bit too exuberant. As it may happen, sometimes no one offers to pay or the couple prefers to have control over the rehearsal dinner themselves. In either case, the couple would then plan and pay for the event themselves. Couples can also elect to ask both sets of parents for help in sharing the cost. Whoever ends up paying, tradition seems to hold sway. If the online forums are anything to go by, the consensus is that making guests fork over their cash for a rehearsal dinner is a no-no. If you have a particular venue in mind, and you do not want to compromise on where your rehearsal dinner is held, it is important to discuss this with those responsible for shelling out the expenses. For instance, if you want a rehearsal dinner held at a swanky seaside restaurant, it is important to discuss this with those hosting the occasion. They may not be able to afford a lavish affair that may be more per head than your wedding meal. Is it okay to forgo a rehearsal dinner? If you think the expenses outweigh the benefits of having a rehearsal dinner, it is perfectly okay to skip it. 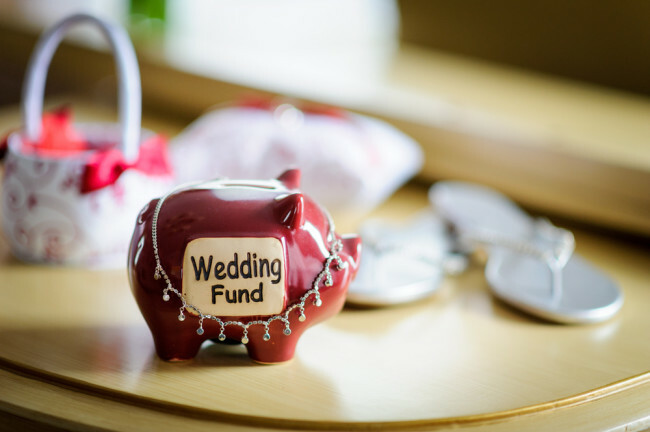 Couples sometimes like to put the money that would have otherwise been spent on their rehearsal dinner toward the venue, flowers, or another luxurious expense. What Happens During a Rehearsal Dinner? As its name suggests, a rehearsal dinner is a sit-down dinner enjoyed by both sides of the aisle: the bride, the groom, and the bridal party. The rehearsal dinner is arguably a more intimate event. In the chaos of the wedding day to come, the bride and groom may not be able to spend as much one-on-one time with the people closest to them. We worked out the calculation for Love & Lavender’s own wedding. It turned out we only got to spend 4 and a half minutes with each guest! Not a lot of time if you’ve planned a big invite list. 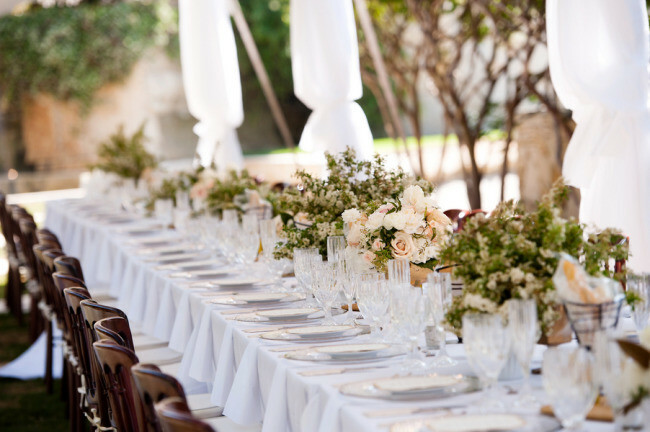 A rehearsal dinner allows you to spend a bit more quality time compared to the hectic wedding day schedule. So what happens at the rehearsal dinner? If the bride wants to read a poem to her maid of honor, she may wish to do this during the rehearsal dinner. Things will likely be a bit quieter and she has more time. The couple may also want to play some of their favorite songs that remind them of their relationship — songs that may not fit neatly into the theme of the upcoming ceremony. Video presentations documenting the bride and groom’s lives before and after they got together are also great for the rehearsal. Everyone can “ooh” and “aah” at how cute they were as kids, and how in love they are now. Thank-you gifts can also be handed out to everyone in attendance, especially if the gift is something the couple wants everyone to wear or bring to the wedding. One of the most popular activities for a rehearsal dinner is the toast. First, the host – usually the groom’s father – offers a toast, followed by the best man. After that, the floor is fair game and anyone can give a toast. No limits for brevity here – everyone can be as lengthy and as humorous as they want to be. Be sure to rise and thank everyone who has toasted you, as well as thank the hosts when everyone has finished. Any excuse to dress up is a good excuse as far as we are concerned. That’s why we think you should have a little fun with your rehearsal dinner outfit choice. It’s most likely the eve of your wedding and excitement will be in the air. It’s still a special occasion where you want to look amazing. And nothing does that better than a fabulous new outfit! Keep in mind, there will probably be a lot of movement and mingling throughout the evening. So we recommend choosing something that you will be comfortable and fashionable. 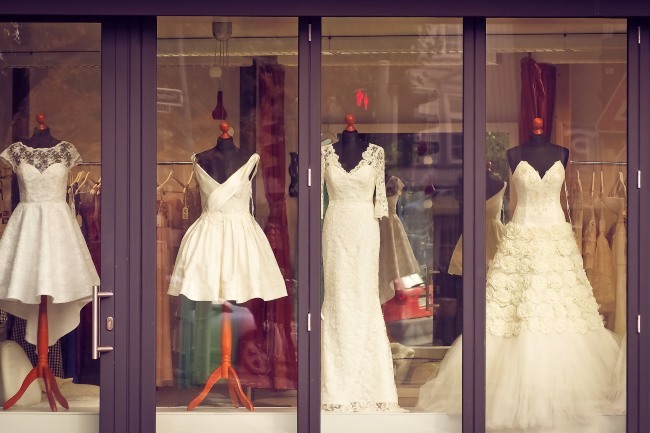 Rehearsal dinner shopping – like shopping for your wedding gown, but a little less stressful! Think sparkles and beading (it is a celebration after all), play with cuts, hemlines, and fabrics, or perhaps choose something you wouldn’t normally wear like a classy jumpsuit. You can really wear whatever you would like to your rehearsal dinner as long as you feel comfortable. 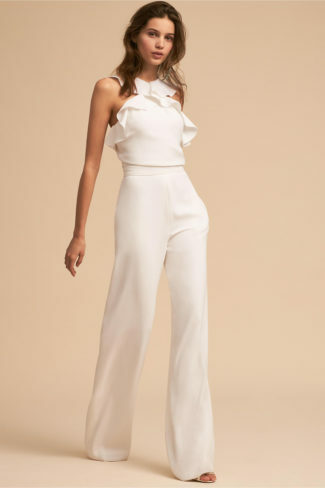 You don’t have to choose white, but we love the idea and decided to share our favourite little white rehearsal dinner outfit ideas from BHLDN below. How Formal is A Rehearsal Dinner? The formality of a rehearsal dinner is a delicate balance. Usually the hosts decide the level of formality for the dinner. 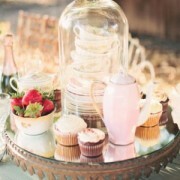 Though, as a rule of thumb (and common sense), the dinner should never be more formal than the wedding itself. This isn’t so hard to overcome if you’re having a lavish wedding with all the frills, but if you’re electing for a simple ceremony on the beach in casual clothes, then guests shouldn’t be wearing three-piece suits to your rehearsal dinner. Also, no matter the level of formality, you should still send out proper invites to the dinner. The rule for a venue should follow the rule for formality: don’t make the dinner fancier than the wedding. Venues should be simple such as a sit-down restaurant (preferably one with a private room), someone’s backyard, or even something as casual as your favorite pizza place. What’s most important is that everyone is able to relax and enjoy themselves – especially you! If the rehearsal dinner is being held the night before the wedding, make sure it doesn’t stretch into the wee hours. Everyone needs their beauty sleep, and you don’t want your wedding party nursing a hangover on the big day. You may want to consider inviting out-of-town guests to the rehearsal, but the rehearsal is meant to be more of an intimate gathering. Instead, you may want to host another event for your out-of-town guests at a different location, such as a restaurant closer to the hotel they’re staying at. Failing that, you can always invite them to your home (or to the home of a relative or friend), for an informal dinner or cocktail party. Never assume that people will just know they’re invited to your rehearsal dinner without having received an official invitation to it. You don’t necessarily have to add the extra expense of paying for formal invitations to be printed up. Especially in situations where the guest list for the rehearsal dinner is expected to be rather small, then a simple word-of-mouth invitation will do the trick. When Should you Send the Wedding Rehearsal Dinner Invitations? The best time to send out invitations to the rehearsal dinner is after everyone has RSVP’d to the actual wedding, and three weeks before the date of the dinner. 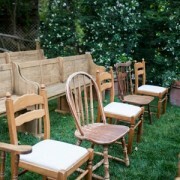 This way you know for sure who is coming and who is going to be a participant in your bridal party. If you don’t want to take on an additional expense, but you do want to send your guests a physical invitation, consider customising your own on pretty paper. Else, you can always hit up your local party goods store for pre-printed invitations. We hope you have a fabulous time at your rehearsal dinner and enjoy every moment. Let us know how yours turns out in the comment section below!